Are You Missing Out On Unlimited Free Leads from LinkedIn? The Wild West of Social Media Networks! 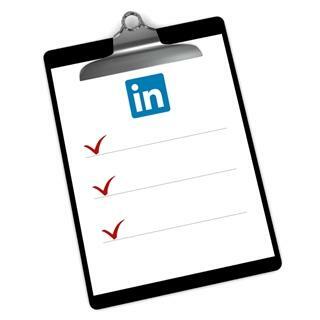 Register to watch the LinkedIn Leads System training and access the checklist, now! Get the LinkedIn Leads System Checklist and Video Training, Free! Get Instant Access to the "LinkedIn Leads Checklist"
The LinkedIn Leads Checklist gives you Step by Step instructions for the super-simple FREE method to generate unlimited leads on LinkedIn. Follow the checklist and you will never run out of quality prospects for your business! Melanie has been building a business ONLINE since 2001. In this training, Melanie will reveal key attraction marketing lessons that you have likely never considered. The 3 best-ways to generate unlimited traffic and leads on LinkedIn (most of which you've never heard of...) that other top-earning marketers won't be talking about for years. Register to Watch the Training and Get the LinkedIn Lead System Checklist, Now! Unlimited Leads are just minutes away, and right on LinkedIn! Learn to Generate Leads Using Social Media Marketing on LinkedIn! Yes, Give Me More Leads!